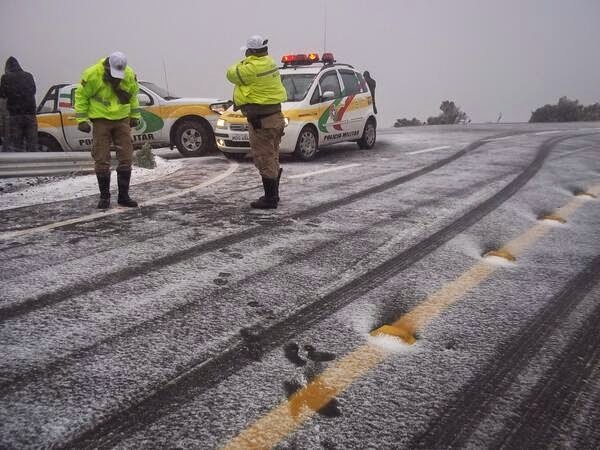 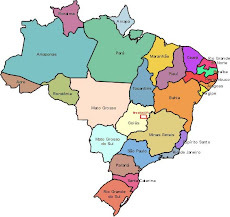 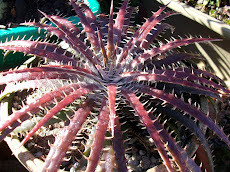 Isn´t it a many explendored One? 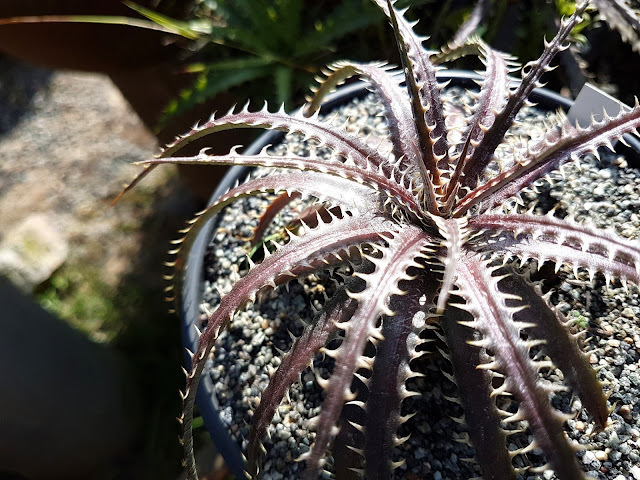 It took me six months to sow the seeds after getting them from Berlin. 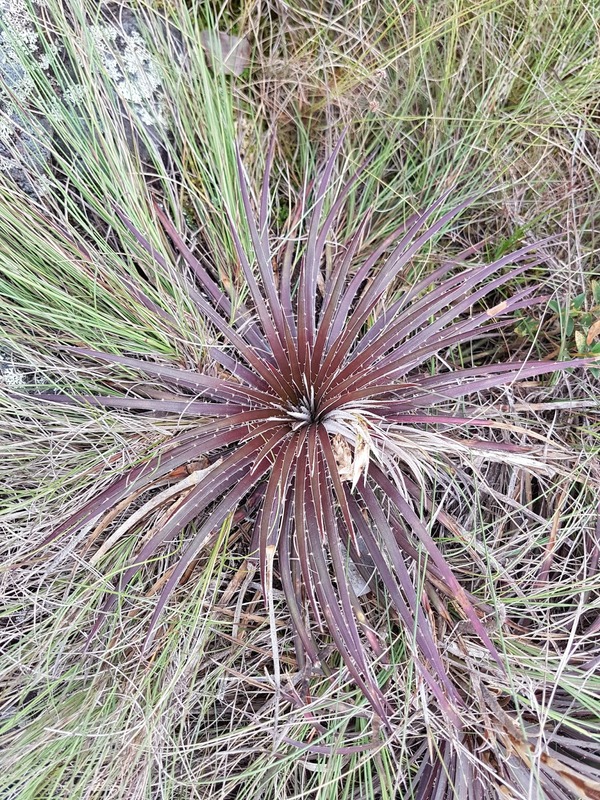 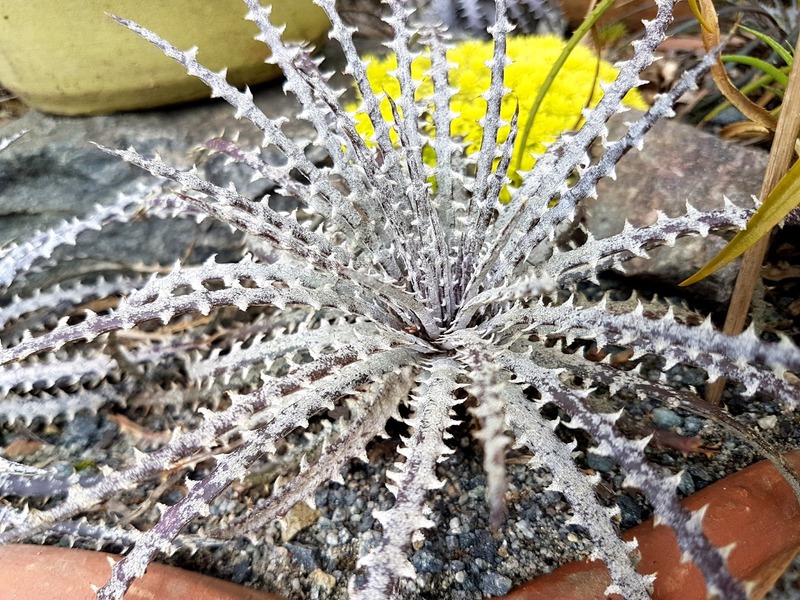 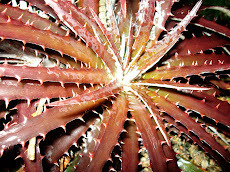 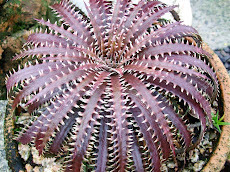 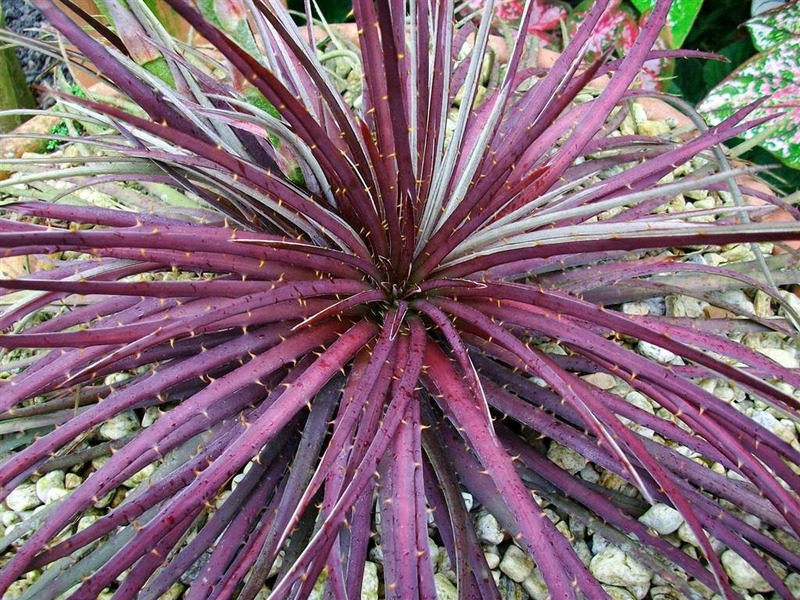 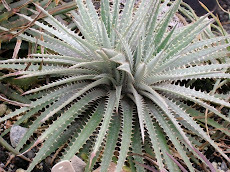 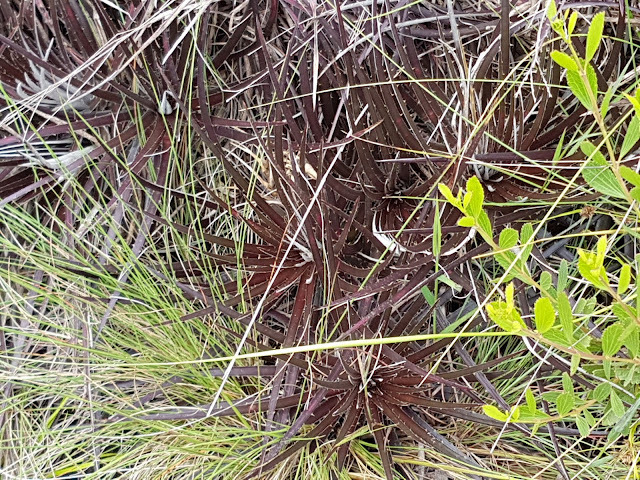 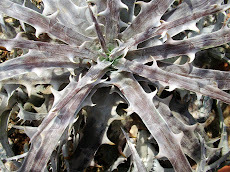 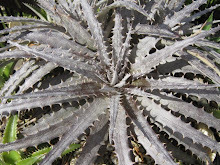 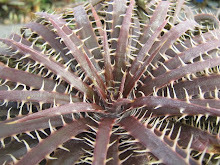 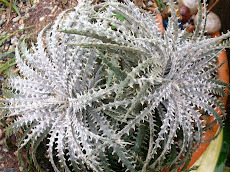 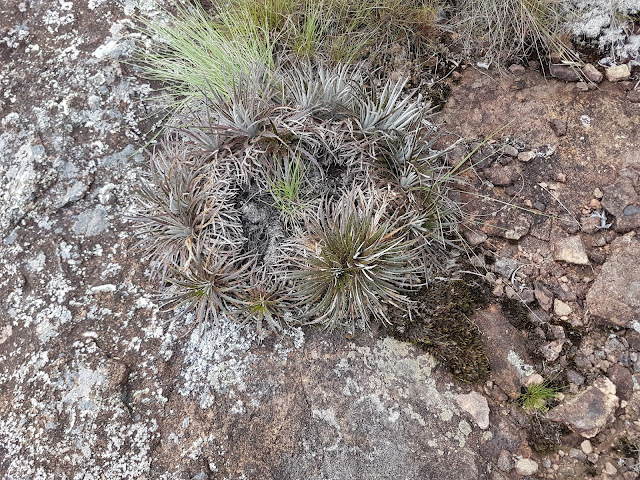 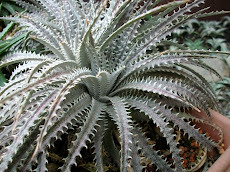 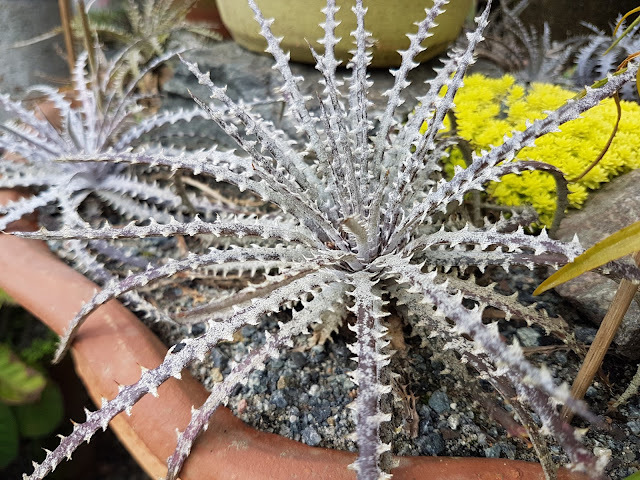 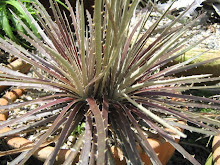 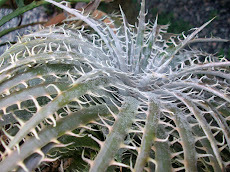 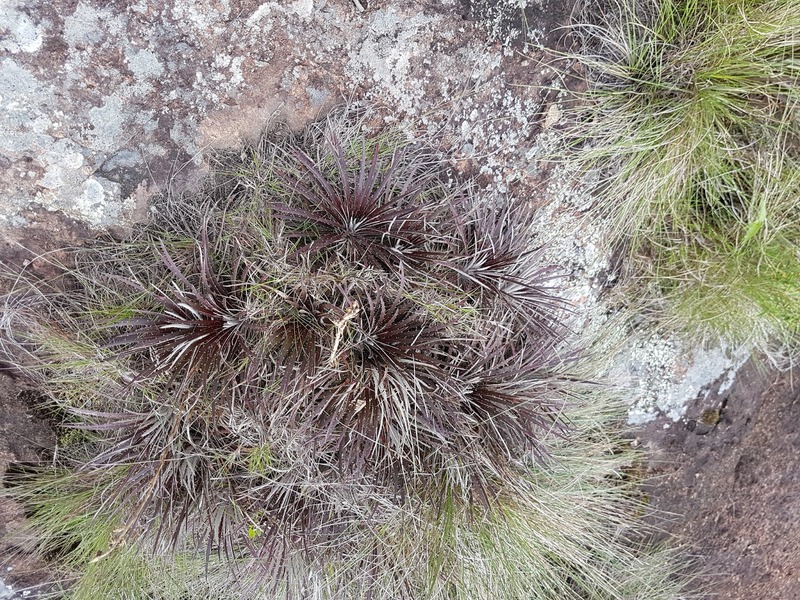 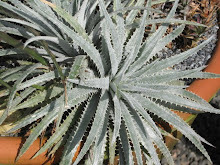 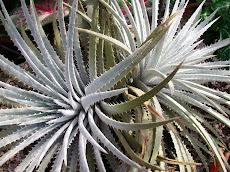 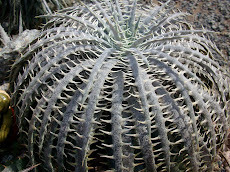 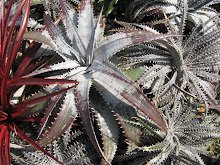 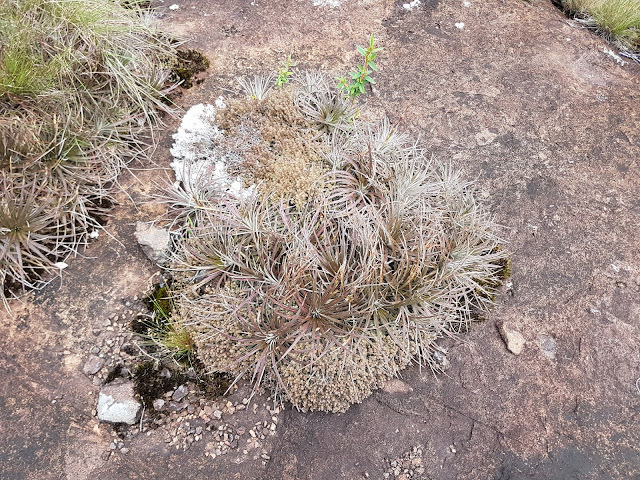 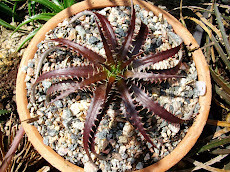 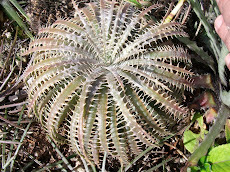 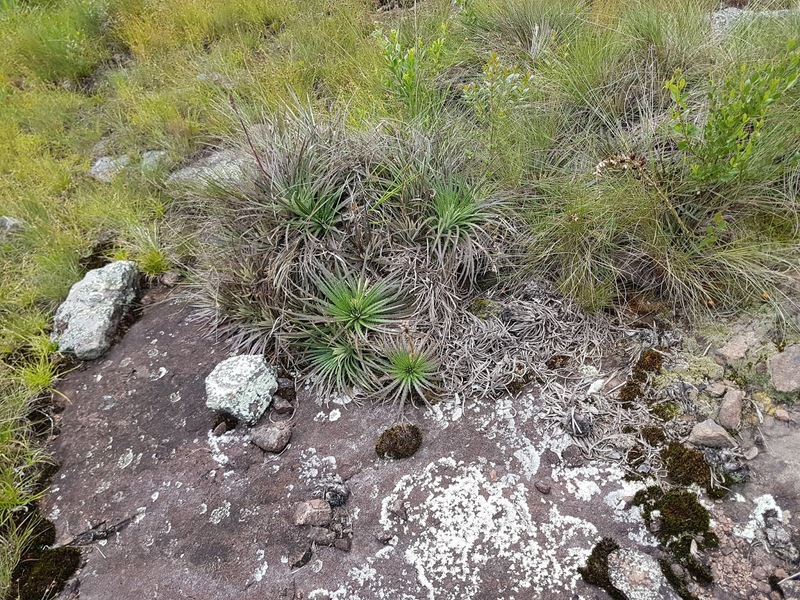 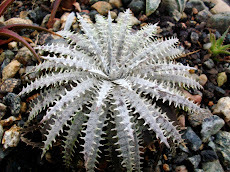 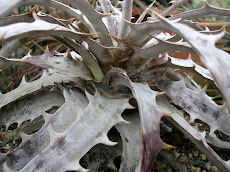 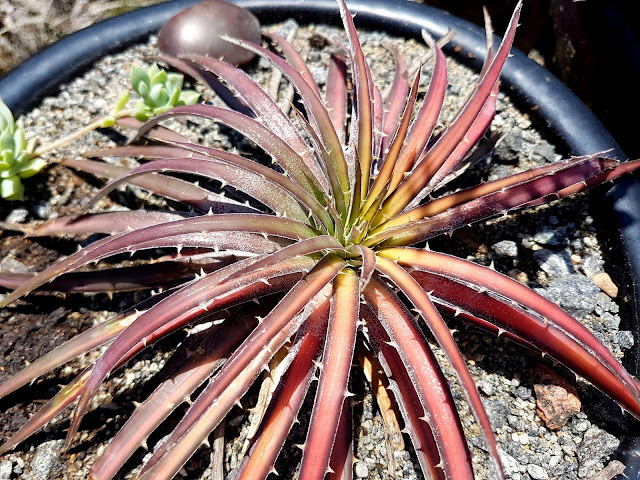 Dyckia Brittle Star already has dawsonii in its blood and crossing it with dawsonii reinforce this heritage. 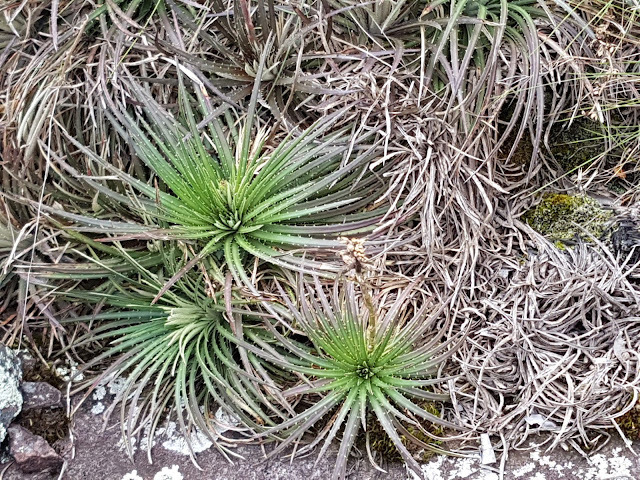 Another point, all seeds sprouted the very same looking plants. 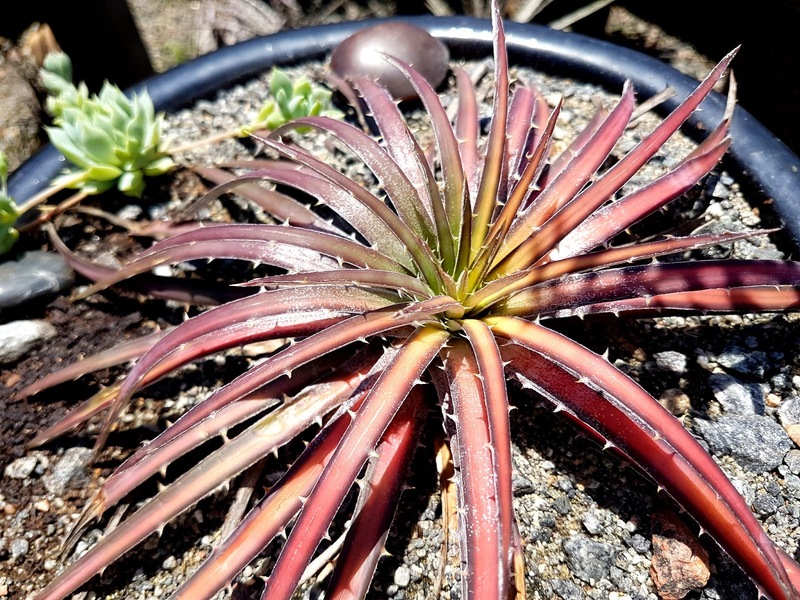 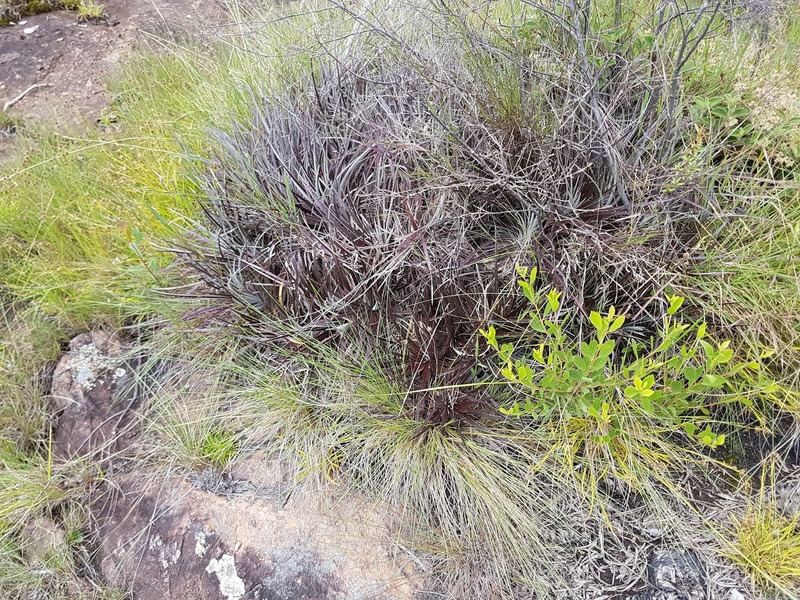 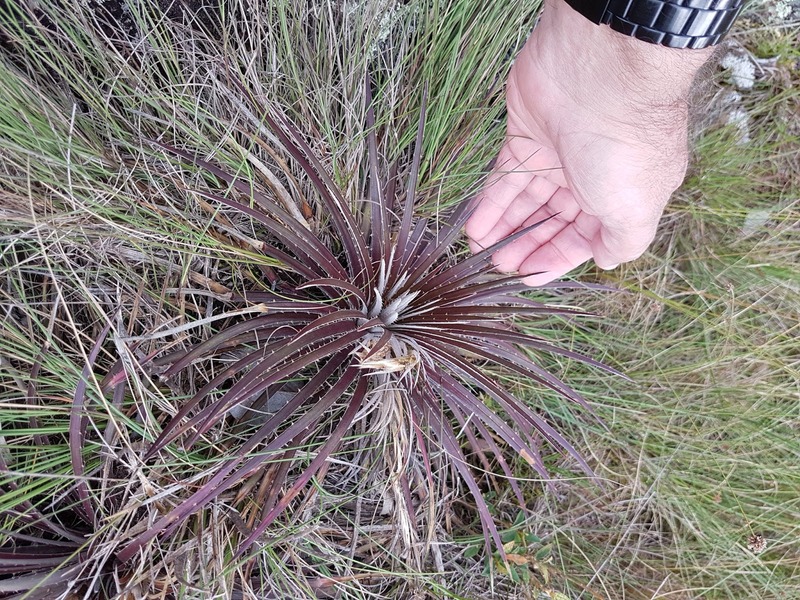 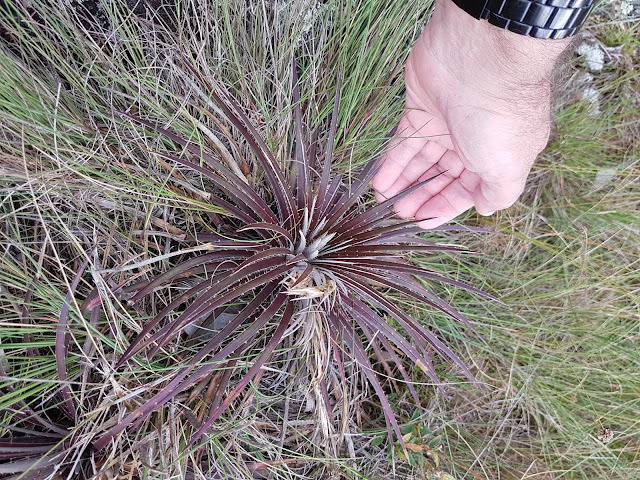 Just a seedling? 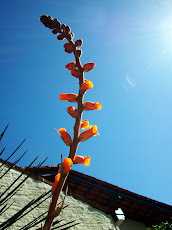 ..all within a seed: every dream can come true. 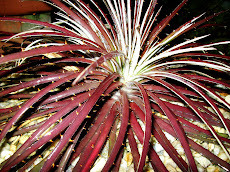 the rare a chance to live close to you. 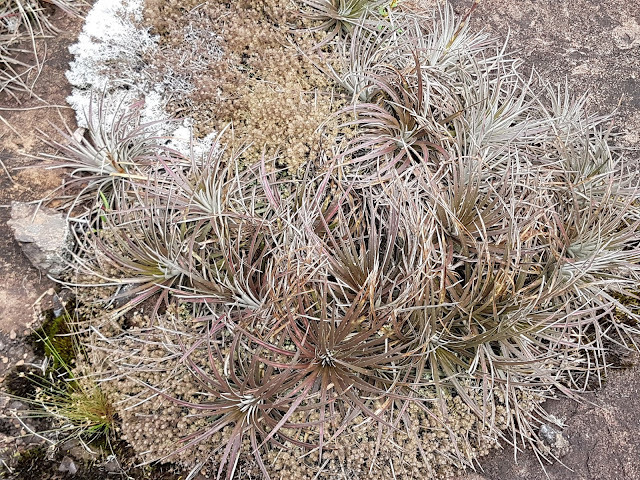 Winter is the best season to sow. 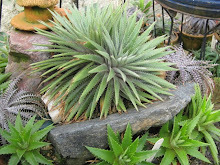 when the spring gets to you area you and your seedlings are some steps ahead. 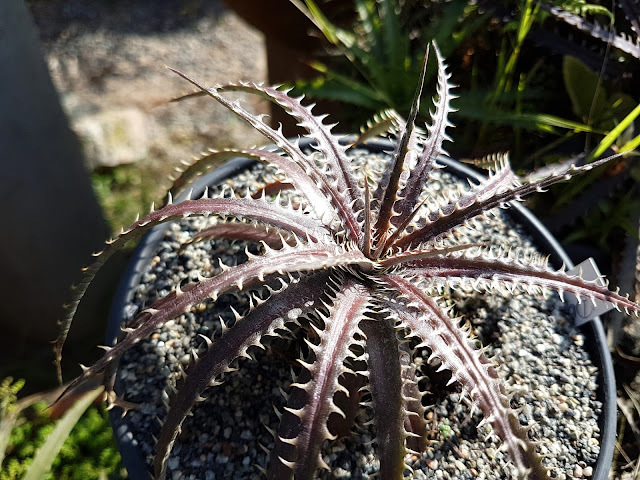 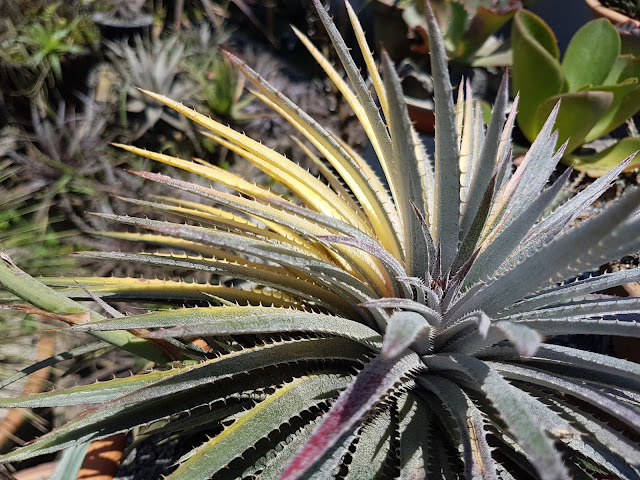 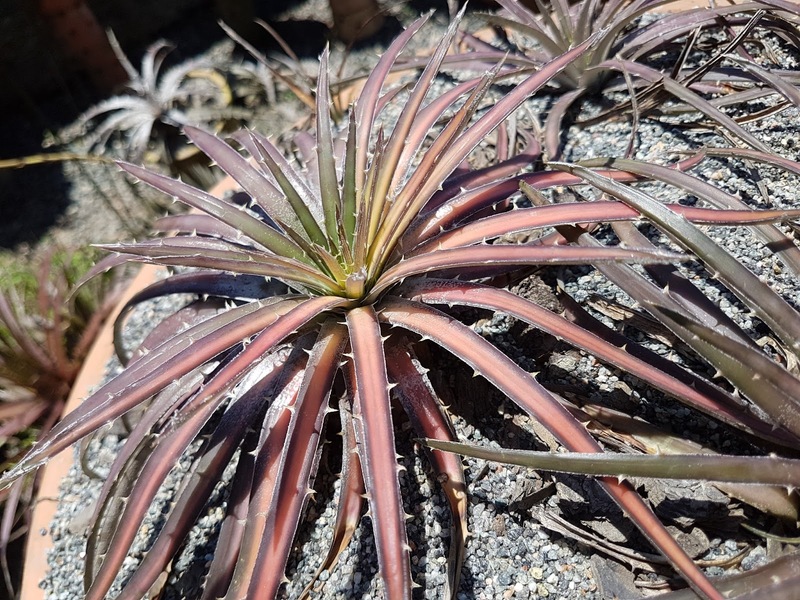 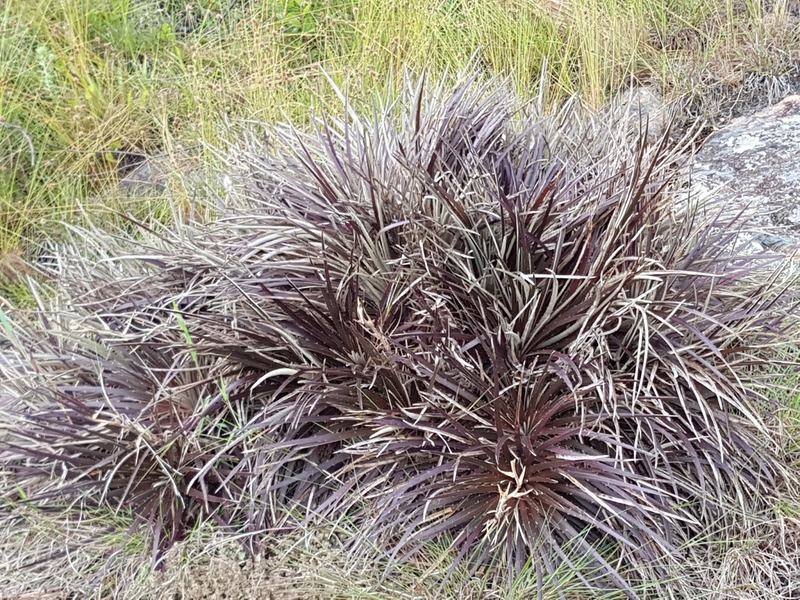 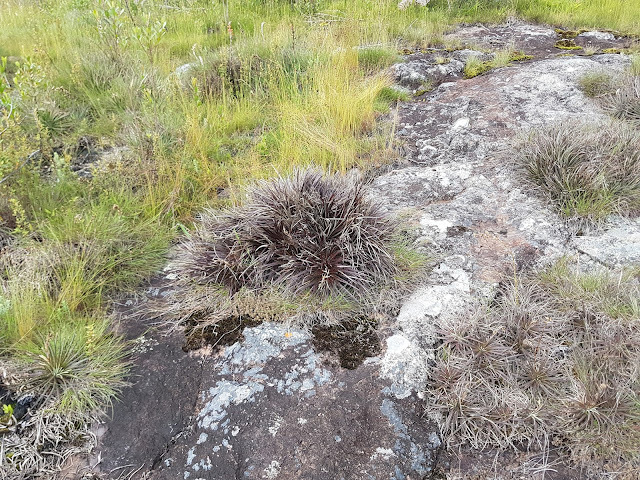 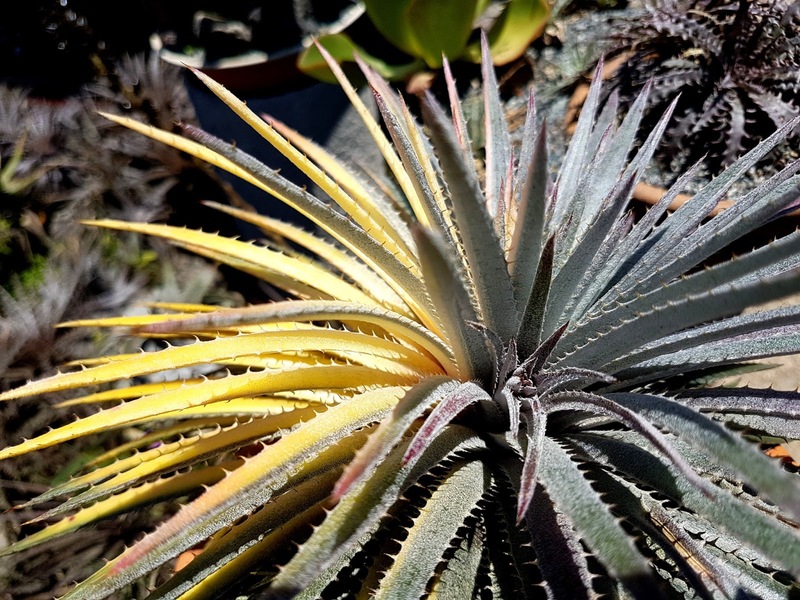 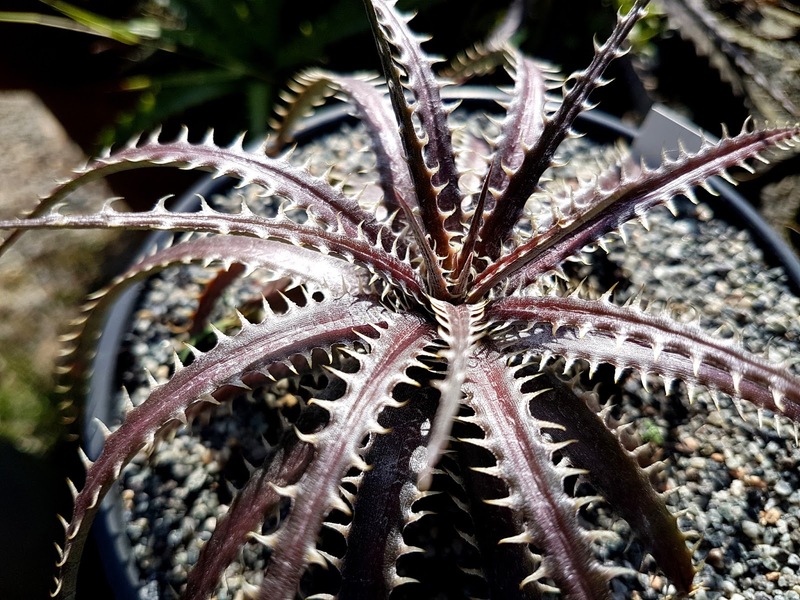 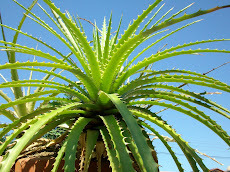 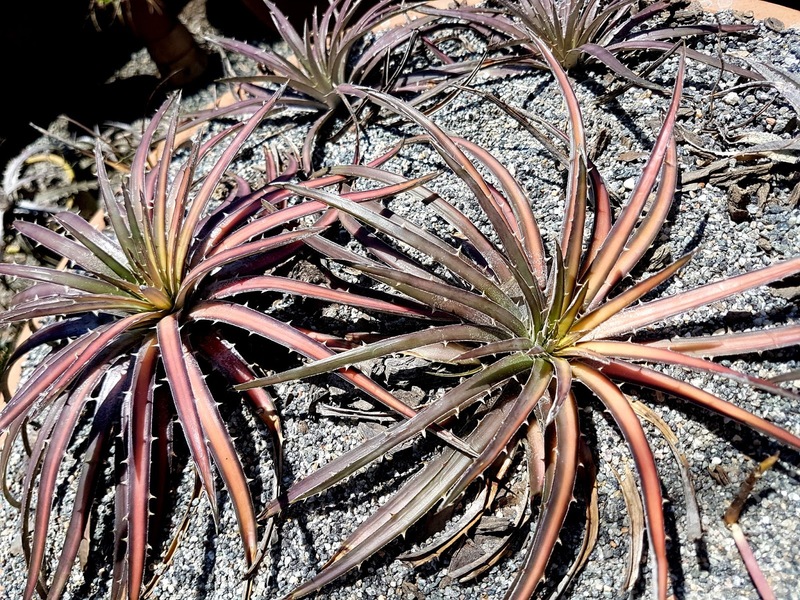 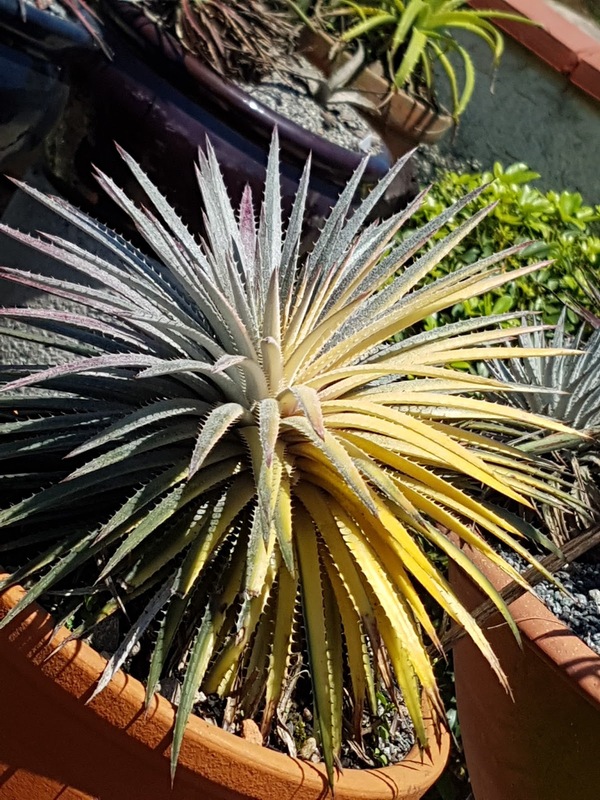 Dyckia monticola var aurora, what a sight! 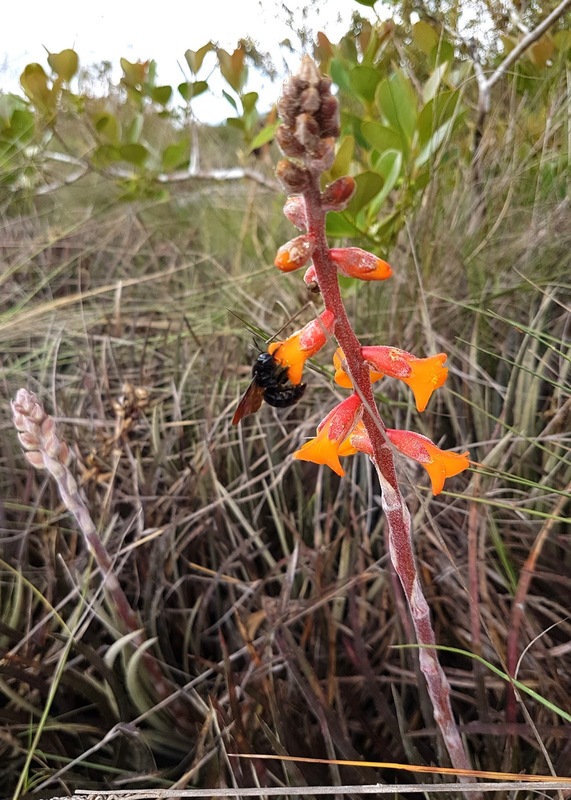 The bumble bee is a very very important fertilizer agent . 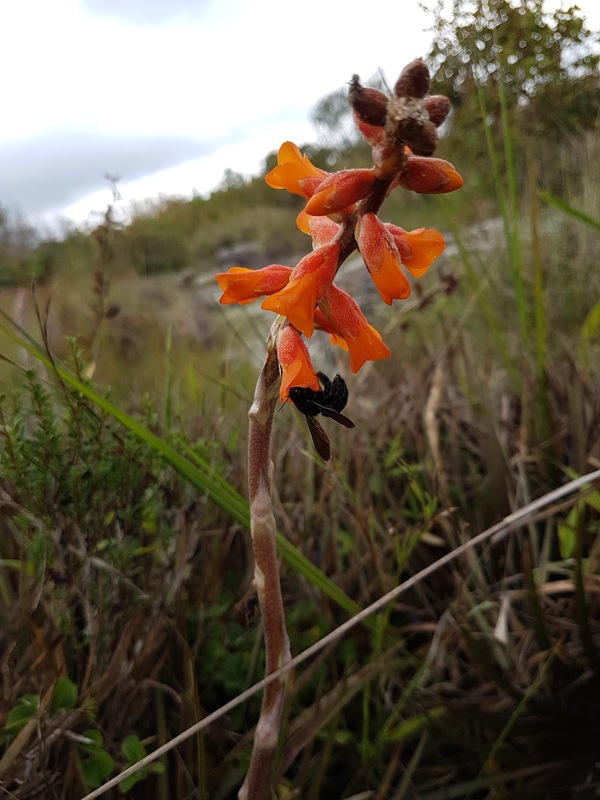 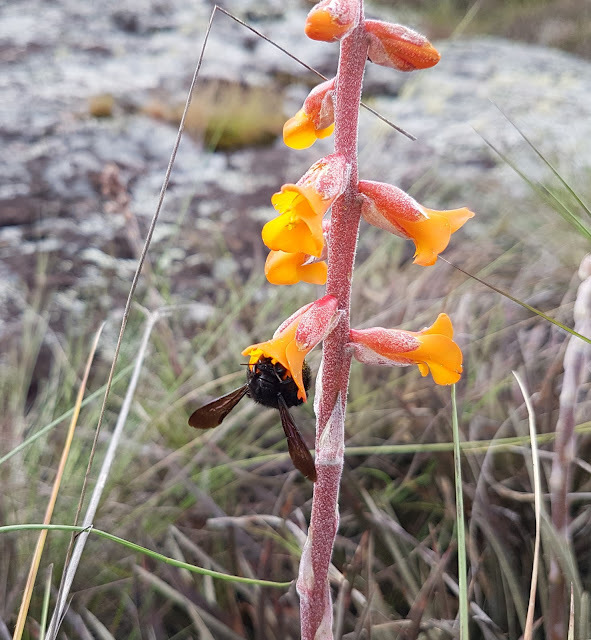 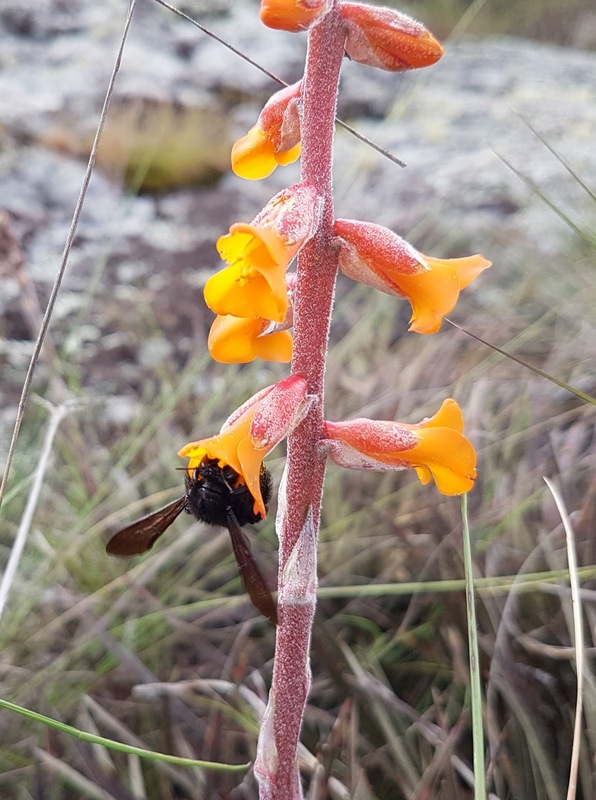 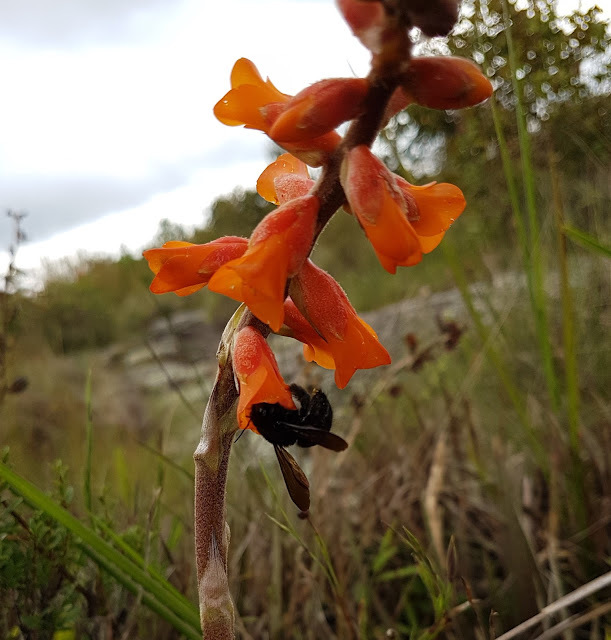 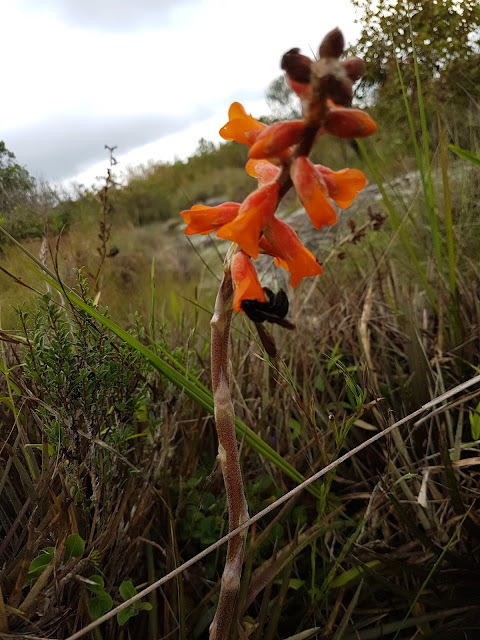 once pollinated they begin to turn up. 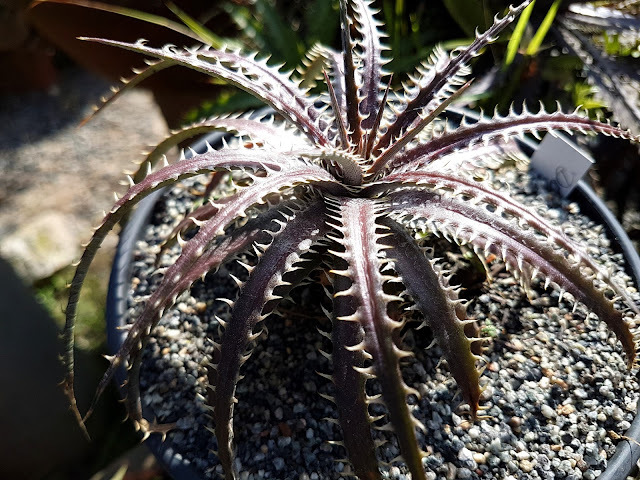 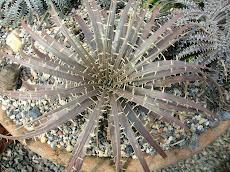 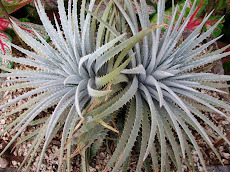 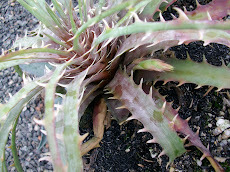 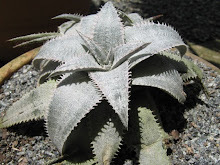 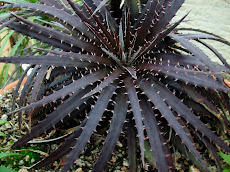 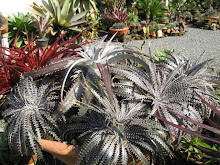 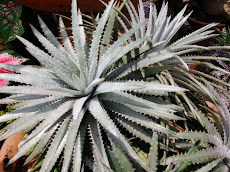 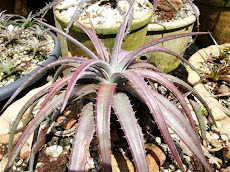 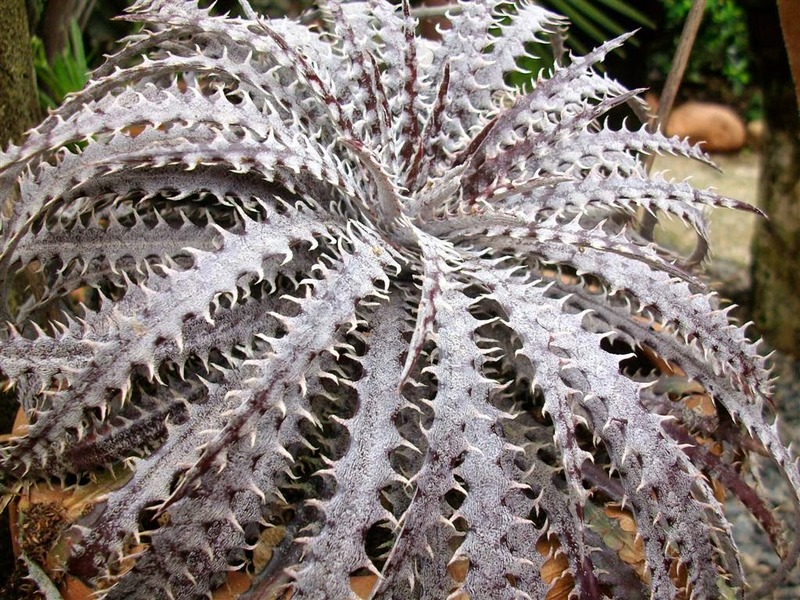 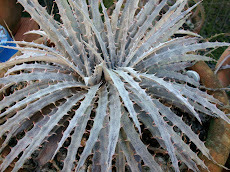 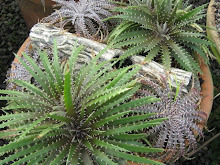 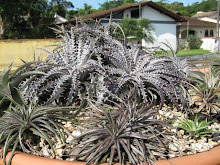 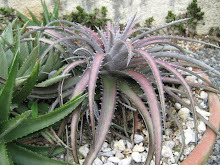 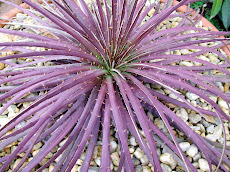 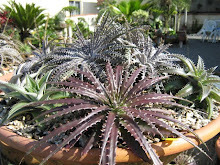 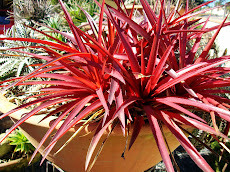 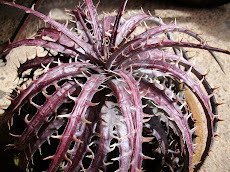 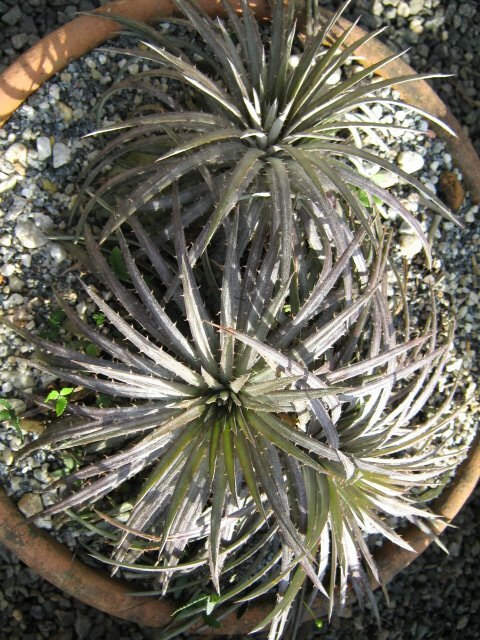 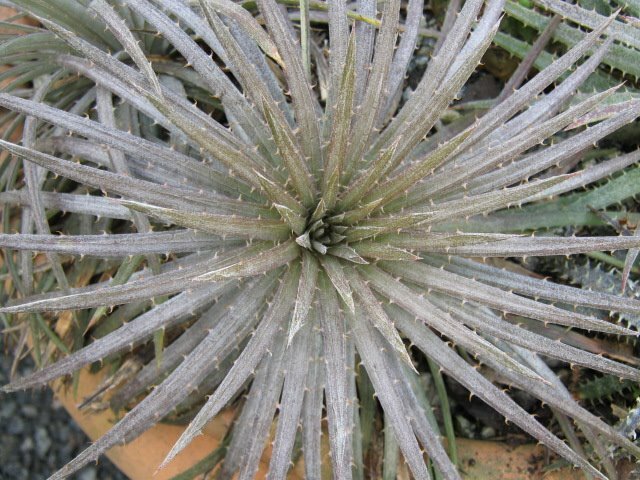 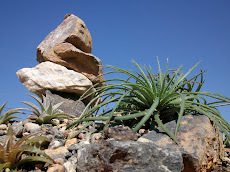 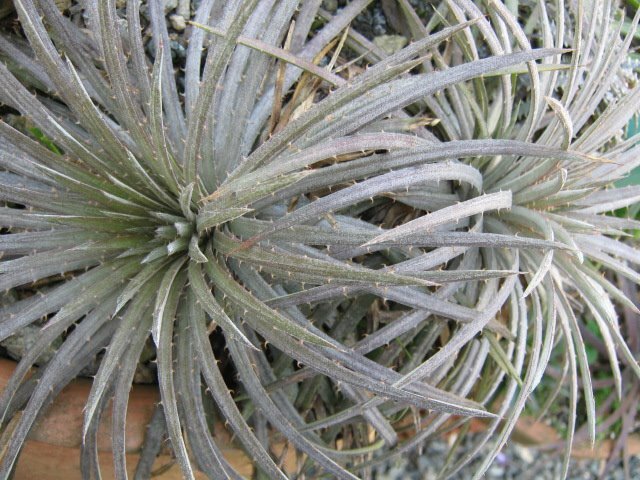 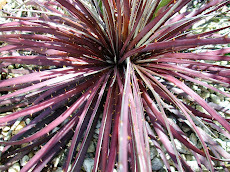 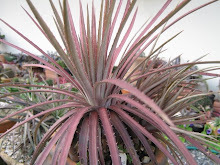 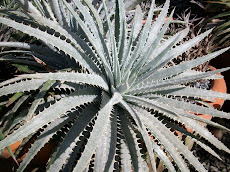 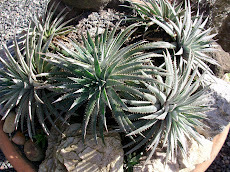 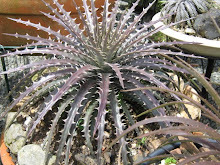 Dyckia mirandiana.... a fan one.